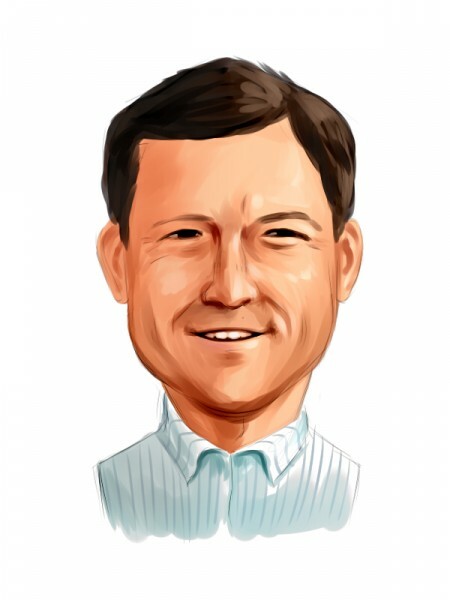 Were Hedge Funds Right About Souring On Iron Mountain Incorporated (IRM) ? The government requires hedge funds and wealthy investors that crossed the $100 million equity holdings threshold are required to file a report that shows their positions at the end of every quarter. Even though it isn’t the intention, these filings level the playing field for ordinary investors. The latest round of 13F filings disclosed the funds’ positions on December 31. We at Insider Monkey have made an extensive database of nearly 750 of those elite funds and prominent investors’ filings. In this article, we analyze how these elite funds and prominent investors traded Iron Mountain Incorporated (NYSE:IRM) based on those filings. Is Iron Mountain Incorporated (NYSE:IRM) an outstanding stock to buy now? Money managers are getting less optimistic. The number of bullish hedge fund bets decreased by 9 in recent months. Our calculations also showed that IRM isn’t among the 30 most popular stocks among hedge funds. IRM was in 11 hedge funds’ portfolios at the end of December. 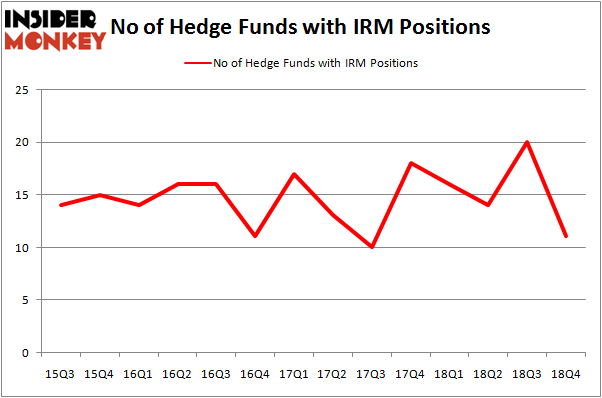 There were 20 hedge funds in our database with IRM holdings at the end of the previous quarter. Let’s take a gander at the recent hedge fund action surrounding Iron Mountain Incorporated (NYSE:IRM). At the end of the fourth quarter, a total of 11 of the hedge funds tracked by Insider Monkey were bullish on this stock, a change of -45% from one quarter earlier. The graph below displays the number of hedge funds with bullish position in IRM over the last 14 quarters. With the smart money’s capital changing hands, there exists an “upper tier” of noteworthy hedge fund managers who were increasing their holdings substantially (or already accumulated large positions). The largest stake in Iron Mountain Incorporated (NYSE:IRM) was held by D E Shaw, which reported holding $14.9 million worth of stock at the end of September. It was followed by Adage Capital Management with a $11.5 million position. Other investors bullish on the company included Stevens Capital Management, Citadel Investment Group, and Renaissance Technologies. Judging by the fact that Iron Mountain Incorporated (NYSE:IRM) has witnessed falling interest from the smart money, logic holds that there is a sect of money managers who were dropping their entire stakes by the end of the third quarter. It’s worth mentioning that Thomas Bancroft’s Makaira Partners sold off the largest stake of the “upper crust” of funds watched by Insider Monkey, valued at about $63.2 million in stock, and Mike Vranos’s Ellington was right behind this move, as the fund dumped about $0.7 million worth. These transactions are interesting, as aggregate hedge fund interest was cut by 9 funds by the end of the third quarter. Let’s also examine hedge fund activity in other stocks – not necessarily in the same industry as Iron Mountain Incorporated (NYSE:IRM) but similarly valued. These stocks are UGI Corp (NYSE:UGI), Alleghany Corporation (NYSE:Y), Canopy Growth Corporation (NYSE:CGC), and Autohome Inc (NYSE:ATHM). All of these stocks’ market caps resemble IRM’s market cap. As you can see these stocks had an average of 15.5 hedge funds with bullish positions and the average amount invested in these stocks was $397 million. That figure was $49 million in IRM’s case. UGI Corp (NYSE:UGI) is the most popular stock in this table. On the other hand Canopy Growth Corporation (NYSE:CGC) is the least popular one with only 5 bullish hedge fund positions. Iron Mountain Incorporated (NYSE:IRM) is not the least popular stock in this group but hedge fund interest is still below average. This is a slightly negative signal and we’d rather spend our time researching stocks that hedge funds are piling on. Our calculations showed that top 15 most popular stocks among hedge funds returned 19.7% through March 15th and outperformed the S&P 500 ETF (SPY) by 6.6 percentage points. Unfortunately IRM wasn’t in this group. Hedge funds that bet on IRM were disappointed as the stock returned 9.6% and underperformed the market. If you are interested in investing in large cap stocks, you should check out the top 15 hedge fund stocks as 13 of these outperformed the market.